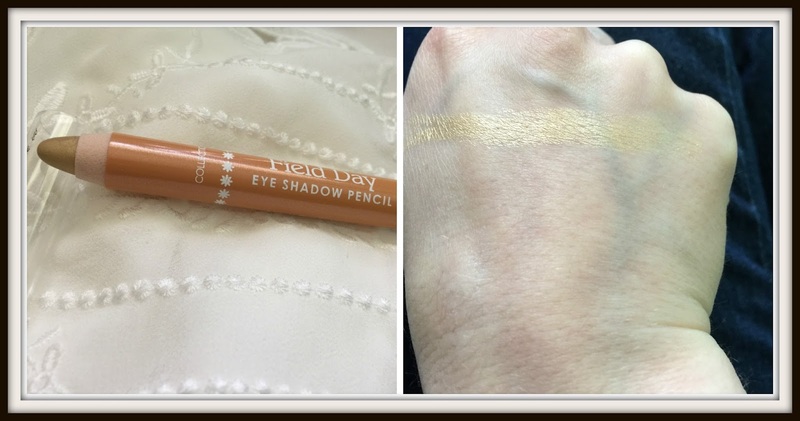 With Spring in full swing Collection have launched two cute new eyeshadow pencils. 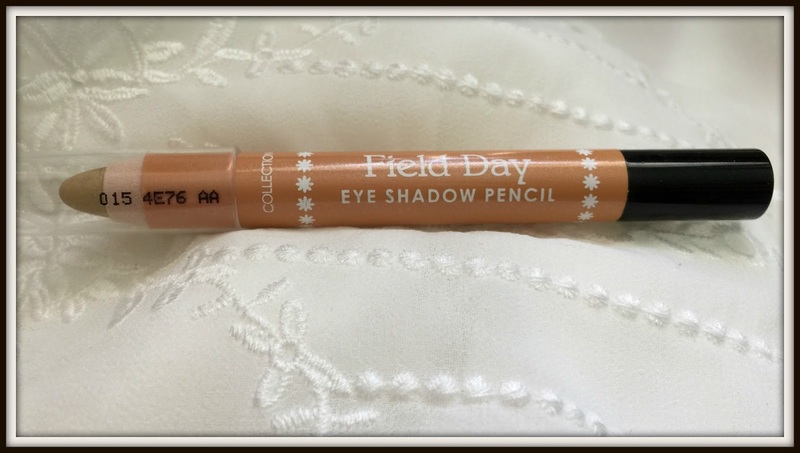 The limited edition Field Day collection comes in two shades, Golden Sun and Summer Meadow. The shimmering pencils have a soft blendable consistency that can be used all over the lid, as a eyeliner or just to highlight a part of your eye for an intense look. For the purposes of this review I am testing Golden Sun. The pencil has really cute sparkly packaging with cute daisy flowers adorning the centre of the pencil. It has a thick crayon like tip that can be sharpened with a large makeup sharpener. As the pencil is quite long potentially you could get a lot of use out of this product. The shade is a really pretty metallic gold. 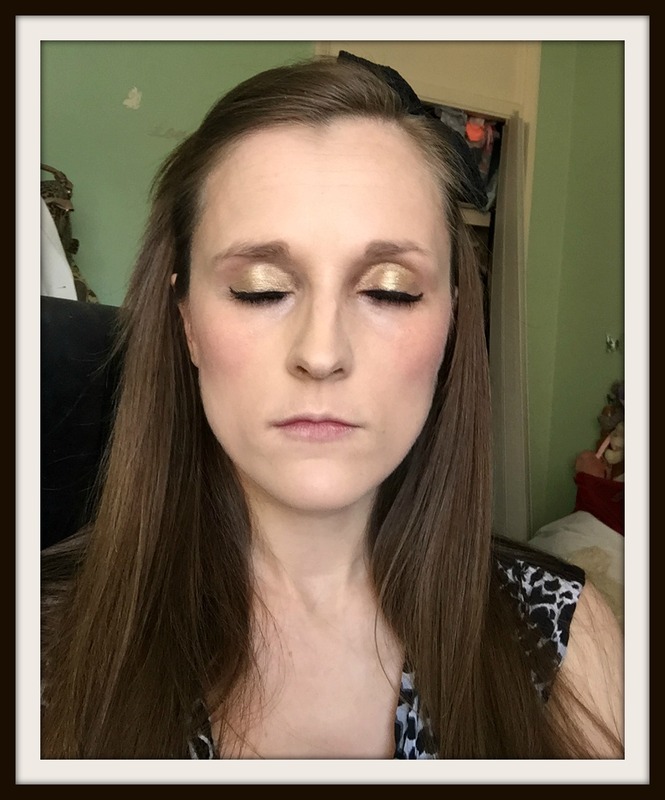 I’m a massive fan of gold eyeshadow and love how it highlights the eye area when applied. When swatched the pencil was amazingly pigmented. When applying to my eye I did find it was initially a little difficult to get the more intense colour I desired and it took a number of applications to get a full coverage rich gold look. The shadow is really long lasting, it doesn’t crease and is waterproof. In fact the eyeshadow has such amazing staying power it’s a little difficult to get off in the evening!